Summers spent listening to live and outdoor music have become one of the most widespread leisure activities in our country. The huge festivals are the ones that have been more successful, but do not forget that they are not the only option. More frequently we can find concerts held in the city that are also in the heart of nature. Today we will share with you a selection of festivals in gardens that take place throughout Spain. Noches del Botánico (NDB) (Nights in the Botanical) has become a unique and must-do event for those who love quality music in Madrid. Its setlist is designed for an audience of all generations and includes varied styles ranging from jazz and rock to pop and indie. Because of this, it is at the top of our list of outdoor garden festivals in Spain. This tempting concert attracts both people living in Madrid and people who come to the capital from other parts of the Spanish territory. The event welcomes artists and groups both national and international, as well as new talents of contemporary music, who share their music with all the concert attendees in the Botanical Garden of Alfonso XIII at the University of Complutense. The doors open at 20:00. At night, at 22:30, the performance of the day begins. Groups such as Funambuilsta, Phoenix, Bomba Estereo and renowned artists such as Serrat, Carlos Vives, Gary Clark Jr or Norah Jones will go on stage. The Noches del Botánico Festival begins the 21st of June and goes until the 29th of July. The Royal Alcazar of Seville, with more than ten centuries of history, has the oldest gardens in the west. It is one of the most unique spaces in this city thanks to the botanical, historical and scenic values within. This space embodies the spirits of those who built and lived here over the centuries, as well as those who have maintained it and visited. All this has made it a unique enclave worthy of being known, appreciated and loved. For this reason, the Real Alcazar opens its doors to the citizens of Seville and other people in the world so that they can experience the heart of the city and its culture. The Ciclo Noches en los Jardines del Alcázar has become one of the most important summer cultural activities of this Andalusian city. It offers the public something unique: a rotation of concerts that lasts three months during the summer. During this season, artists such as Dani de Morón, Antonio Campos, Rubén Díez Trio, and groups like Artefactum, Sonata a Cuatro, Random Thinking, etc. will be given a performance slot. Another of the indisputable ones on the list of festivals in gardens of Spain is the one celebrated in the capital of Guipuzcoa. San Sebastián has always stood out for its beauty. One of its great attractions is the numerous parks and gardens that have been admired for a long time. For several years, the people have been looking for a new way to highlight the parks here, while maintaining their essence. Because of this, live concerts are held, during which we bring music to more people in these lush, green environments. The festival Musika Parkean takes place in the bucolic gardens of the Palacio de Miramar, a perfect space to listen and to dance to the music of the many groups that come through every year. 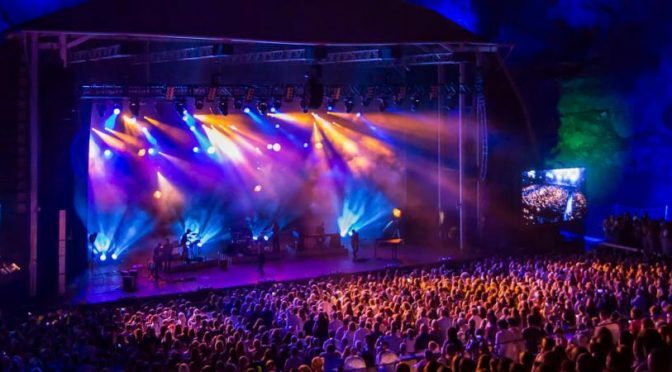 The Jardins Pedralbles Festival, which has celebrated music since 2013, has been proclaimed as one of the coolest live music events of the summer. The idyllic place in which this event is held is in the middle of the Avenida de la Diagonal of Barcelona, what used to be the Spanish Royal Family’s residence from 1919 to 1931. Here you can disconnect from your daily routine, enjoy some wonderful gardens with a delightful gastronomy and unparalleled services. The concert consists of a wide range of styles designed to satisfy all music tastes. Each festival day presents a strong array of artists. This year’s concert will be performed by artists such as Jesse J, Elvis Costello, Miguel Poveda, Pastora Soler, Miguel Ríos and Niña Pastori. This year, the event will take place from June 6th to July 13th. The Atlantic Botanical Garden of Gijón hosts a wide variety of music and cultural activties every summer. This place is a natural treasure that is part of the Mile of Knowledge, as well as other areas in the city such as the Laboral Town of Culture, the Scientific and Technological Park, the Center for Industrial Art and Creation and the campus university. This festival aims to bring people closer to the garden and enjoy nature while listening to music or entertaining with a magic show. On June 24th, the festival will take place in the Botanical Garden of Gijón during the celebration of the summer solstice to welcome this stage of summer. 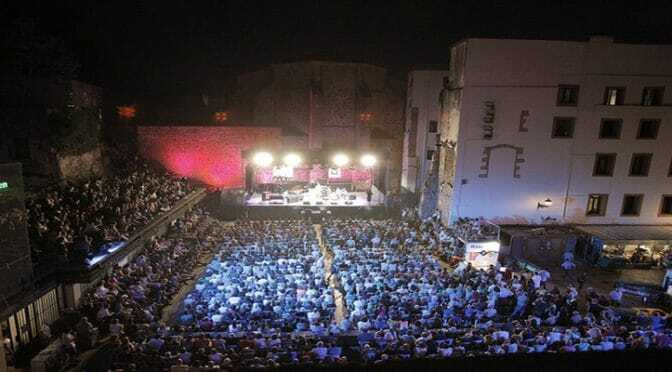 The Gardens of the Andalusian Center of Contemporary Art, located in the Carthusian Monastery of Santa María in the ‘Cuevas’ de Seville, have become the location for summer concerts since 2005. This outdoor area is seen as the perfect location for outdoor festival celebrations. This place, which was here when Columbus waited for a response from the Catholic Monarchs, has been proclaimed a cultural location in the city. This oasis in the heart of Seville is located on an island surrounded by the Guadalquivir River and it is one of the best alternatives to enjoying something fresh on the hot Sevillan nights. Soon, the Caravan Sur Music Fest will be held with performances by groups such as Narco or the Tractor. On June 22nd, the Festival of Música Negra in Sevilla will be held in, where Freedonia will perform. Many other events will be held such as the Rainbow Fest Sevilla, a Jam Session or the Day of the Music. The gardens in which the Viveros concerts are held are in the very center of Valencia, a magnificent place to take advantage of the summer evenings in the midst of nature. These gardens, which are of Muslim origin, host numerous musical events with a great variety of styles and artists both national and international. The music is a must-do during the festivities of the city of the Turia, and even more during the Feria de Julio. Among all the groups and artists that will play this year, some stand out names include: Izal, Andrés Suárez, Funambulista, Pedro Pastor, Zoo, Beret, Arkano, Los Secretos, Morat, etc. These Viveros concerts enliven the Valencian nights from the 4th to the 28th of July. What do you think of our list of outdoor festivals in Spain? Do you know of any more?